Children in this stage are naturally inquisitive, creative, and active. In terms of brain development, their ability to absorb information and acquire new skills is at its height. We honor this stage by building fundamental skills in language and mathematics, core knowledge in history and science, and a love of art and music. Our relaxed atmosphere is inherently nurturing, and we honor the need for play and physical activity with recess and extended lunch periods, outdoors and in our gymnasium. Children educated in this way are well positioned to continue at Louisville Classical Academy in grammar and middle school. Check out this blog post about Classical Kindergarten at LCA! The primary English curriculum aims to move children from an intuitive grasp of language toward conscious control and understanding. Our youngest students develop strong word-reading and spelling skills through a phonics-based curriculum. As they progress toward grammar school, students improve their skills in reading comprehension, writing, and presenting. Students are encouraged to use language creatively and produce original texts confidently and proudly. Fluency and correctness are emphasized. The result is students whose native intellectual capacities are developed to the fullest, with a profound and mature affinity for language, and the ability to think analytically, logically, and creatively. In harmony with the broader mission of Louisville Classical Academy, the primary English curriculum offers an enriched language environment rooted in wonderful stories and classic children's literature. Teachers encourage students to ask questions, think deeply, and develop their own ideas about what they read. Early learners begin the process of sharing their ideas and interpretations through listening, speaking, and taking turns. This distinctive Shared Inquiry™ method is a collaborative, discussion-based approach to stories and literature developed, refined, and advocated by the Great Books Foundation for more than 60 years. 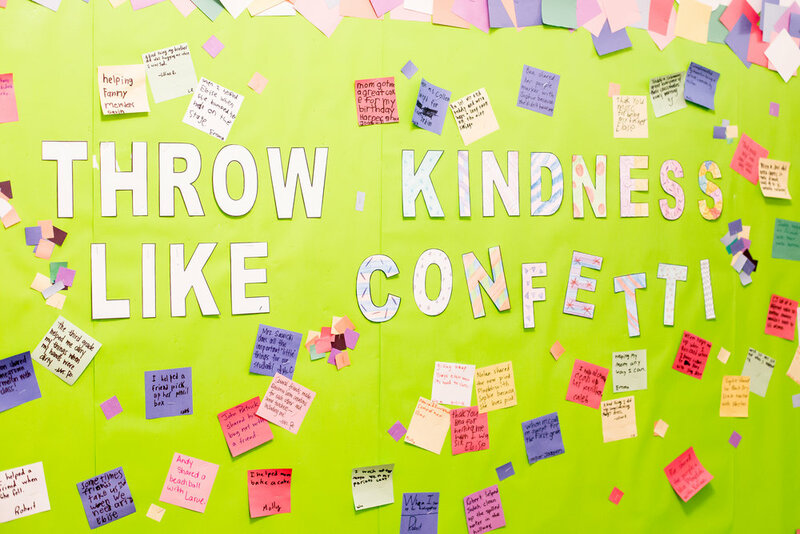 Through the Foundation's Junior Great Books program, children of all ages are empowered to explore the ideas and meaning in everything they read. 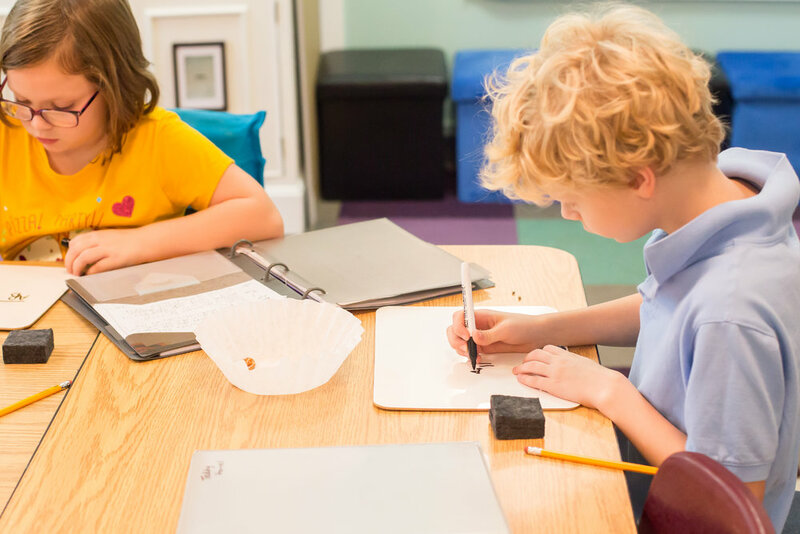 LCA’s math curriculum develops both computational and conceptual mastery, and students have abundant opportunities to explore math functions and concepts in the context of meaningful experiences. Children develop specific skills and strategies for problem solving while developing number and operation sense, spatial reasoning, and measurement processes. Teachers use a variety of manipulative materials for concept formation and understanding, especially in the younger grades. Our curriculum encourages flexibility and speed through mental math and teaches children to "think mathematically." The study of life sciences at LCA is active, employing a hands-on, activity-based approach. The science program instills knowledge drawn from life, space, and physical sciences and intends to promote the attitude of an enthusiastic scientist and skill of a measured researcher. Through guided inquiry, students are encouraged to investigate and observe the world around them, build hypotheses, and ask questions. Global studies enlists the child’s native love of story, and students learn, in this way, about their place in the human story. Childhood is a wonderful time to learn about the larger global family. Young students explore the geography, food, art, traditions, and holidays of world cultures through art, singing, and foreign languages. LCA is fortunate to enroll students with first- and second-generation immigrants in their families, whom we invite to share their stories and culture. For more details about LCA’s approach to science and global studies, here’s a great blog post. At all grade levels, music is an essential part of the LCA curriculum. Primary students participate in choir, where they will sing songs from the canon of children's and classical music, including songs in other languages. Childhood is the best time to develop not only literacy and numeracy skills but also the time when they can best develop their aural skills. Students listen to and create music in a way that will allow them to become fluent in this most beautiful of languages. During school hours (typically Mondays), music lessons are available in piano, guitar, and violin. At all grade levels, art class meets multiple times per week. It does not stop there; art is integrated throughout the primary program. Primary students also learn historical and modern stories through drama and dance. They have the opportunity to try on different personas, expand their imaginations, and experience performing in front of peers and parents. In the grammar and upper schools, drama is offered as an elective.